Open Bar 9:00 pm - 1:00 am. Champagne toast at midnight! Expedited entry for up to 6 people. Includes $2,500 credit towards purchasing off the service menu provided. Expedited entry for up to 6 people. Includes $2,000 credit towards purchasing off the service menu provided. Expedited entry for up to 10 people. Includes $2,500 credit towards purchasing off the service menu provided. 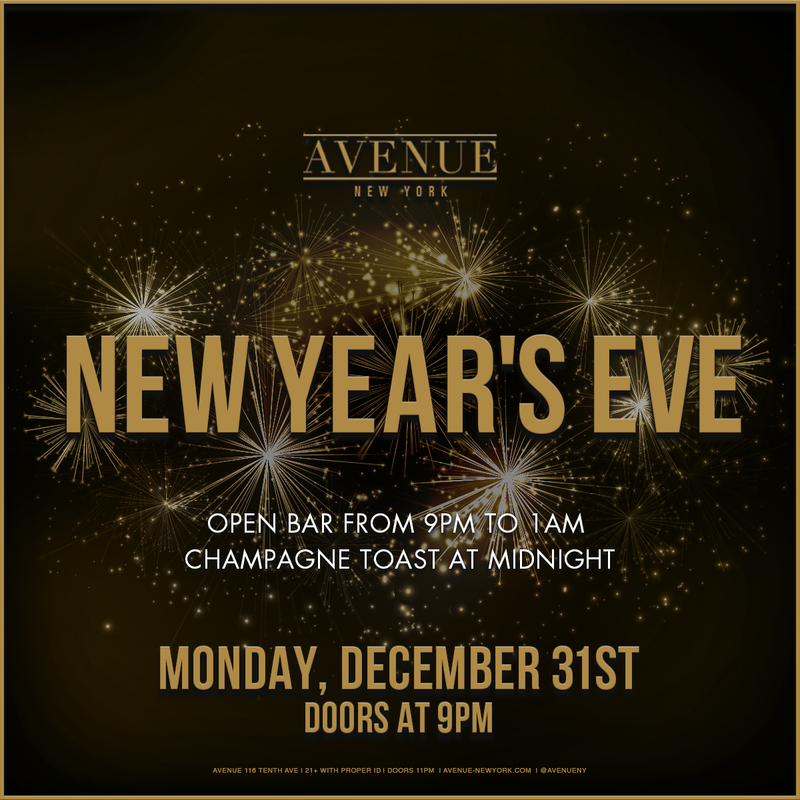 Don’t drop the ball on the city’s craziest holiday—check out the best New Year’s Eve nightclub event in NYC, a popular spot to ring in 2019! Last year Mariah Carey graced the grounds of the newly renovated Avenue Nightclub. We can’t wait to show you what’s in store for this 2019 celebration! Ready yourself for a night of champagne, dancing and killer cocktails!